I recently finished reading Facebook COO Sheryl Sandberg’s book Lean In. I’ve also researched and read many of the criticisms of the book. Some criticism is well-reasoned and some knee-jerk reaction. A growing meme of mockery is subtle in use of the phrase “lean in,” and while this seems surface positive, it’s not too difficult to see parallels to Linsanity that resulted in “a chink in the armor.” Let me say this: it’s easier to hate than to innovate. In my experience, managers too often don’t know what they don’t know when it comes to issues of workplace stereotypes. Lean In has started a valuable conversation, worth participating in regardless of gender. We’ve also done Q&A with Fast Company and Social Nerdia. If you’ve bought a copy, thank you! We’d appreciate if you would share your thoughts on Amazon. If you haven’t yet read the book and the early reviews haven’t yet convinced you to buy a copy, we’re happy to share parts of the book with you in this excerpt in Fast Company, a download of Chapter 5, and an opinion piece on CNBC. You can also read the first chapter free on Kindle. Finally, we’d like to engage with you in person! Keep an eye on our speaking page for where we will be around the world. To support the book launch, Dion and I will be speaking at events around the world. In the near term, we are available to speak at select conferences and private corporate events in exchange for a bulk purchase of Social Business By Design that you keep. We’ll do this, depending on location, in lieu of a traditional fee. Win-win. For more information, contact us at sbd-at-dachisgroup-dot-com. I was intrigued by the outreach for Simon Mainwaring‘s new book, We First. It’s not your typical social media book and I wanted to learn more from Simon about why it matters. Q: What are the drivers behind We First? What are the key factors that make this an important book to read today? One of the most important drivers of We First is the arrival of the social business marketplace. A fundamental shift has occurred in that consumers now have a platform through which they not only have a voice but also can join their voices together and become a chorus for change in how business operates. This change is directed squarely at brands because consumers now realize, thanks to information available on the Internet, that the traditional custodians of change—governments and philanthropies—are stretched to their limits due to historic debt and a lack of resources. Consumers are therefore looking to their brands to play a more significant role in social change. As a corollary to that, we are also witnessing a growing awareness of the fact that we now live in a world that is an interdependent, hyper-connected global community. If 2008 taught us anything, it was that what happens on Wall Street has an impact all around the world. In the same way, social media connects us all together, anywhere in the world. Together, these two forces are driving a shift into a globally social business marketplace – and that has an enormous impact on business, on consumers, on marketing, and how we build a brighter future for ourselves, for our country and for our businesses. This makes We First an important book to read for anyone involved in business strategy, marketing, advertising, branding, as well as consumers and social activists who are interested in learning how they can impact social transformation through their actions. Q: Social media is certainly popular, but mainstream media still has much more reach and ability to influence. Why did you decide to focus on social media? Second, social media taps into a powerful force far more effectively than traditional media: our emotional connections with others. Social media allows all of us to engage in our shared humanity and reawaken our empathy for each other. It enables us to experience the lives and experiences of others in real time, so that we cannot neglect the realities of poverty, injustice, and disparity of wealth that our system of capitalism creates in the world. As for corporations and brands, social media is becoming more important to them than traditional media, too. First, it creates a worldwide focus group of millions of customers around the world. Through social media, brands can engage their customers in far better ways to develop deeper, more meaningful relationships that are perfect for building goodwill, brand loyalty, and purchases. Of course, social media is also a threat to brands because there is no room to hide from consumers. Any brand that is not transparent, accountable and authentic in their communications will be subject to consumers using social media to criticize and destroy their reputation. So, in short, I chose social media because it is the dynamic that connects consumers and brands far more effectively, meaningfully, and purposefully than traditional media. It is the most important form of communication that will determine the media landscape of the future. Q: Your promotional video opens with a strong condemnation of capitalism – yet its purpose is to sell the book. How do you reconcile this apparent dissonance? It sounds like you are asking me the question about why I am selling a book if I am so against capitalism, as if I should just give the book away or publish it on a free web site. The short answer to that is that books are still one of the primary forms of delivering ideas and intellectual content to people, and even books cost money to produce so there has to be some type of cost involved. I am also delivering my message using many other sources, some of which are indeed free, such as my web sites, YouTube videos that I have posted, and other media too. But this question also asks why the book and video are so anti-capitalism? To that, my answer is that this is a misunderstanding of both the video and the book. Neither one condemns capitalism per se, but they are a rallying call to reengineer or redesign the engine of capitalism so we can use this great economic system for better purposes. We First is not anti-capitalism or anti-profit; as a movement, it is about how we must learn to use capitalism more intelligently to build greater prosperity for the entire world. The We First ethos seeks to condemn only the worst excesses of capitalism, such as the greed and short-sighted profit-making that led to the meltdown of 2008. Profit-for-profit’s sake and purposeless profits — these aspects of capitalism are the cause of an enormous disparities of opportunity and prosperity among people both in the developing world and here in the United States. We First seeks to raise our awareness that we must learn to practice a different type of capitalism, one that more wisely spreads greater prosperity to more people. Besides, let me point out that my book is doing exactly what I am asking others to do—to use capitalism as a constructive, positive, contributory force for good. For example, 10% of the proceeds that I derive from the book to “Girl Up,” a campaign of the United Nations Foundation that channels the energy and compassion of young American girls to help provide the needs of the hardest-to-reach adolescent girls in poor regions of the world. I invite everyone to support Girl Up here. Q: How can companies adopt a We First mentality while not losing ground to competitors? Adopting a We First mentality does not automatically lead to losing ground to competitors. Companies will still compete on the quality and design of the products and services they produce to win their customers. In a We First world, there are still winners and losers, and everything in between. But We First also suggests that we must reframe our notion of competition when being competitive makes no sense in terms of wasting resources or jeopardizing people or the planet by not solving our problems. We can see this new thinking in various collaborations among some of the leading-edge companies, such as the Nike Green XChange and Patagonia’s Sustainable Apparel Coalition, where competitive brands are agreeing to cooperate and define mutually beneficial manufacturing methods for all of them to adopt because it serves the planet and people. We can also see it in the food companies that supported the First Lady Michelle Obama’s “Let’s Move” anti-obesity initiative, where all these companies recognized they have a vested interest in helping children develop healthier eating habits. These are examples of companies that recognize that they need to operate in a way that fits squarely into the reality of our connected global community. They are increasingly agreeing to work together to solve the problems that are larger than their own brands. In so doing, they earn the goodwill of their own community that in turn drives their profits higher. Secondly, it is simply plain truth that some values are universal – and no brand can lay exclusive claim to them. They apply to society at large. So brands must not only do outreach with their core values, but realize their core values apply to problems and solutions far greater than themselves. Q: What industries do you see moving first and last towards We First? It’s not a question of which industries will be first or last at all. The determining factor will depend more on what economist Joseph Shumpeter called “creative destruction,” by which he was referring to the fact that any industry that cannot keep up with change brought on by new technologies will naturally fall by the wayside. There will always be change and those that cannot adapt to change will be the necessary casualties. We have already seen many casualties such as the music industry, home movies industry, publishing, newspapers and magazines, and even the advertising industry. What I predict for the future is that creative destruction will be a function of the inability to adapt to social media. Those companies that fail to use social media to conduct social business will lose ground to those that do. So in this sense, what determines which industries will move first and which will move last is a question of which industries learn how to engage with their customers and communities most directly through social media. The companies that succeed in the future will be distinguished by the quality of their listening and their willingness and skill at encouraging their customers to co-create their brand stories. Q: Is a shift towards a We First mindset in business inevitable? How long before a majority of companies get there? Yes, I believe it is inevitable for three reasons. First, customers are creating communities in their own right and this will continue to give them a greater voice and stronger leverage to influence companies and push them away from the old mindsets of Me First capitalism. Second, customers are already creating dialogues with brands, proving that cooperation and collaboration pay off for both sides. We are already seeing win-win situations where socially responsible brands are winning customers and building reputations based on their willingness to listen to their customers’ needs. And third, customers are hyper-aware of the crises affecting the world right now—so it is inevitable that they will look to the companies they support with their buying power to play a more active role in social transformation. As such, brands need to overcome their hierarchical structures, their top-down leadership style and realize that they are now partners with their customer community that co-authors the stories they tell. This means that brands must seek to work more effectively with their employees, their consumers, and with other brands in other industries so that we can all create a more sustainable society in which all businesses can thrive. I believe that the adjustment to a We First ethos will take a period of perhaps five to seven years. We are already in a period right now in which social business is being integrated into large companies that have the resources and foresight to change. At the same time, consumers are getting more sophisticated in terms of their use of social media tools, so their dialogues are getting more sophisticated, too. Ultimately, I see a 5 to 7 year process in front of us, at the end of which I believe we won’t even be able to imagine the time when consumers only listened to television spot ads rather than having dialogues with their brands. Many thanks to Simon for sharing! Yesterday I covered general updates to Groundswell and specifics around Twitter. The other major update to Groundswell focuses on attaining social maturity and provides a model where companies can self-identify and determine what’s needed to progress further. Most companies are clustered around the middle of the bell curve when it comes to maturity, with the ultimate goal of becoming a social business. Forrester calls this the empowering stage. I’ve been discussing social business recently with Social Media Club San Francisco, at BlogWorld Expo New York, and in the original concept of social business design. With an understanding of the end goal, it’s important to focus on getting there, which is where most of my company’s work focuses today. Here’s what I asked Josh about his findings on social maturity. Most companies have gotten started with listening and talking, but the minority have moved on to more complex – and seemingly more valuable – objectives. What specific factors hold companies back from maturing? Listening is effortless and low risk. Talking is an obvious extension of other forms of marketing. But energizing requires real thought about what customers want and who they are. Supporting means a commitment to care about and respond to customers. And embracing means admitting your customers sometimes have better ideas than you do. Those last three objectives cross organizational boundaries in sales, marketing, customer service, and product development. And crucially, they mean messy contact with the actual annoying humans that are your customers. You can do listening and talking without getting your hands dirty – the other objectives aren’t quite so comfortable. Which industries exhibit advanced maturity and which are laggards? Is there a difference in B2C vs. B2B? We’ve seen a lot of maturity in retail, probably because they started with a lot of comfort with ratings and reviews on their sites. Marketing-driven and fan-centric industries like consumer packaged goods and media are also very advanced. Regulated industries like pharmaceuticals and financial services are typically less mature, just since they can’t get a lot of applications off the ground without talking to lawyers a lot. B2B businesses have a great opportunity, because their customers form natural communities. Some tech vendors, like IBM and Cisco, are pretty far along. Most of the big consulting firms are good at internal social applications, since sharing knowledge is so much a part of what they do. But in general, B2B companies are far less adventurous, and it’s a shame. Charlene and Josh collaborated on the original Groundswell and each wrote followup books. Charlene wrote Open Leadership. Josh wrote Empowered; here’s what I asked him about the sequel. You wrote a book after Groundswell, Empowered. How do those work together? Once we wrote Groundswell and I started traveling around to companies, it became clear that knowing what to do was only half the problem. How to get ideas past management was the other. Empowered is a book about how to manage your company in the age of the empowered customer – the problem that arises as a result of all those social customers. I find it interesting that Charlene Li, on her own, also wrote an excellent management book called Open Leadership about many of the same challenges. Who’s the better co-author: Charlene or Ted? That’s like asking which of my children I like better. Charlene has such an incredible instinct about social technology, and that, combined with her infinite degree of patience, made her a real pleasure to work with. Ted’s knowledge of how IT and management worked and the scintillating collection of ideas he brought to the project made for one of the most exciting experiences I’ve ever had. Both were highly creative, flexible, and understood well what I brought to the team. A collaboration on a book is like a marriage – you have to respect the other person, and you have to tolerate their quirks and hope they tolerate yours as you work closely together on something that matters. Both of my coauthors gave me that kind of intimate sharing of ideas, and I respect and love them both (equally!). What do you know now that you wish was in the original version of Groundswell? Much of that is in Empowered, the stuff about management. I wish we had more about Twitter (which is why we added that in the new edition). I really wish we had a lot more international examples, but as I learned in Empowered, it’s very, very hard to source those, especially ones from Asia. Many thanks to Josh for sharing these insights. For updates on Groundswell and Empowered, visit Forrester’s blog. I was an analyst at Forrester when the book was originally published; since then, I’ve been thinking about social business from a different point of view. A few years have passed and we’ve all seen the “social” industry evolve, so to find out more about the updates, I asked Groundswell co-author, mentor, and former colleague Josh Bernoff some questions about the updates. Charlene and I worried a lot about the longevity of the book when we were writing it. As a result, we concentrated on the themes a lot more – like focusing on objectives, and starting with relationships – and not so much on the specific technology details which change so quickly. (This is how any good marketer ought to think, anyway.) This is one reason Groundswell is still relevant three years later while a book on, say, MySpace, seems very dated. The other reason is we concentrated on stories about consumers and businesspeople, and stories don’t become obsolete the way technology advice does. I am still hearing, years later, about people who had this “aha!” moment on reading the book and finally got some traction with their management to start developing social applications. I knew we had a hit on our hands when I ran my first workshop with a major financial services company and saw how, with a little encouragement and a framework, they did so well at coming up with imaginative applications. But my favorite is still probably AFLAC, because the CIO Gerald Shields brought us in, we ran a workshop, and they came up with ideas like a independent sales rep community and a community for payroll administrators. What I loved about that engagement was, they brought us in again several months later and pitched me with their ideas – and I’d seen how well they had developed them. I have to give honorable mention to the work with did with Wal-Mart, because I got to see the most senior executives from the world’s biggest company (including a table full of lawyers) grapple with the ideas. The paperback edition of Groundswell is available today, with two new chapters on Twitter strategy and “social maturity.” How did you select these two topics for greater exploration? It was easy. These were the two types of questions we got most frequently. Twitter was brand new when Groundswell came out, so we didn’t talk about it much beyond predicting that it would be successful (got that right!). And the question of how companies develop as they approach social became a lot more visible as we got further into the corporate embrace of social applications. This happened just as my colleague Sean Corcoran wrote a great report on the topic, so I adapted that for the Social Maturity chapter. The new chapter on “tapping the groundswell with twitter” provides a straightforward outline on how to use the service and great advice in line with Twitter’s own recommendations for business. The opportunity is obvious when you see the statistics: Twitter users are highly active and influential. You mention ways that Twitter can be used for Groundswell objectives – listening, talking, energizing, supporting, and embracing. All of these are useful to companies, but they don’t make Twitter any money. How does use of Twitter’s advertising options (promoted tweets, accounts, and trends) fit in to the framework, if at all? I find it interesting that a successful Twitter ad has to be inherently shareable, so Twitter advertising strategy ends up as an extension of Twitter marketing strategy in general. It’s part of the intersection between advertising and social, which works best when the advertising is something people want to share (like the Evian Babies video). Tomorrow, I’ll focus on the new social maturity framework and what’s after Groundswell. Clay Shirky crystallized what was going on with social media in his 2008 book “Here Comes Everybody.” Shirky has a new book out called “Cognitive Surplus.” For a summary of the book, you can read this speech transcript from a couple years ago. You can also watch this video, similar content. Shirky’s concept certainly has, as Seth Godin puts it, “world-changing” potential. 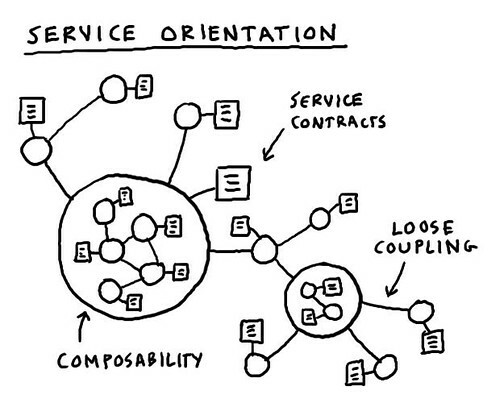 In fact, Tim O’Reilly has already pointed out how to make this a reality, imploring us to work on stuff that matters. Media is the connective tissue of society. This is a wonderful definition of not only what we share, but also hints at why we connect and how. Digital sharecropping. An idea that social sites create an unfair situation whereby individuals create content but platform owners get the monetary rewards. Theoretically feasible, but rare in practice. Consumers will take control – if you let them. “If you give people a way to act on their desire for autonomy and competence or generosity and sharing, they might take you up on it.” This could be for better or worse with regards to your brand. The problem is us, not it. “Many of the unexpected uses of communications tools are surprising because our old beliefs about human nature were so lousy.” Fewer people today say they don’t get Twitter, namely because we have shifted mental models regarding how people communicate online. Why sharing ideas works. Thomas Jefferson: “He who receives ideas from me, receives instruction himself without lessening mine.” I can share ideas through this blog that do not detract from my own ideas – and in fact this community returns the value through comments, retweets, and other responses. Culture is key. It’s how alchemy evolved into chemistry and the world ended up gaining from a greater degree of openness. Building a business case may be difficult. “We can’t ask people running traditional systems to evaluate a new technology for its radical benefits; people committed to keeping the current system will tend, as a group, to have trouble seeing value in anything disruptive.” Don’t limit the definition of “systems” here to IT only – think of processes and culture within ecosystems as well. The entire last chapter focuses on starting, growing, and adapting efforts – solid advice for anyone responsible for community development. 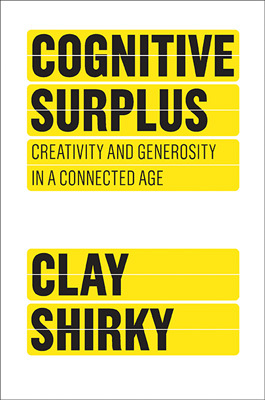 Shirky has created a wonderful outline of the what, why, and how of our society’s Cognitive Surplus – the only question left is “what now,” which can only be answered by each of us.